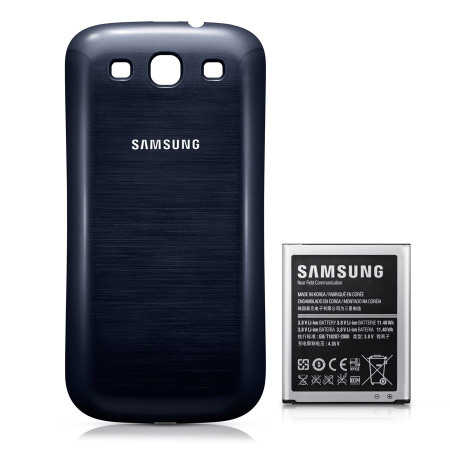 Keep your Samsung Galaxy S3 going for longer with this official kit comprising of a 3000mAh extended battery with NFC and replacement back cover in blue. Does exactly what it says on the box! My phone is now a power house in my pocket. The battery now lasts for ages, games, apps and browsing the net have little effect compared to the original battery. I would highly recommend this product. It'll transform your phone too! 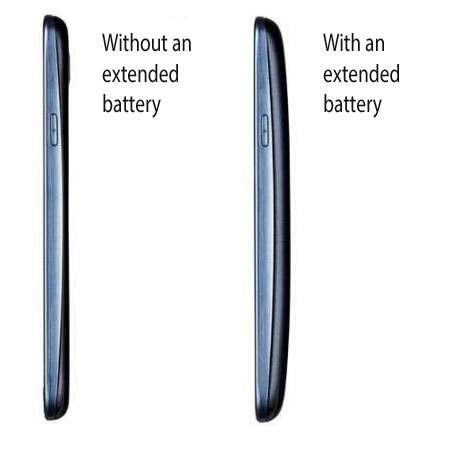 This battery has a capacity of 3000mAh, which is an additional 900mAh compared to the original 2100mAh Samsung battery. This helps to provide more battery power in order for you to have more talk time or power to play games and videos for longer. As this battery is bigger in capacity than the standard one, it is also bigger in size. To accommodate this, the battery comes with a specially built replacement back cover that houses the battery, while also offering additional protection to the back of your phone from scratches and scrapes. 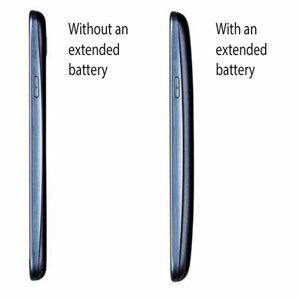 The Genuine Samsung Extended Battery Kit for Galaxy S3 features a built in NFC (Near Field Communication) chip which allows your S3 full capabilities to use NFC technology on items such as Samsung TecTiles. 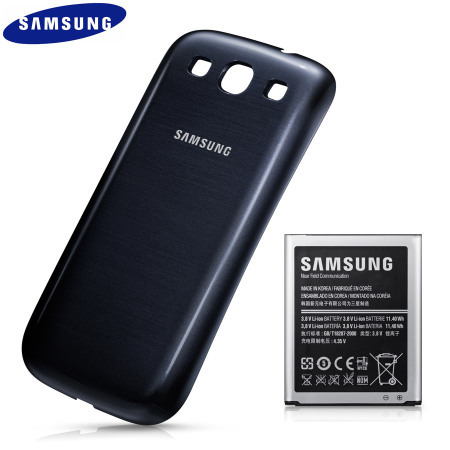 As this battery is an official product made specifically for the Samsung Galaxy S3, it fits perfectly within your phone and is compatible with it. 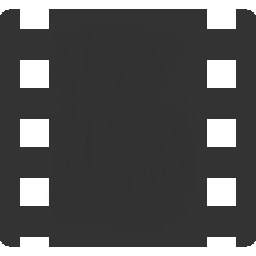 In addition, the replacement back cover offers an excellent fit for your device and features a cut-out for the camera, so you don't lose any functionality by using this battery.